Traditional target garden game for all ages. Can also be used indoors if the weather turns. 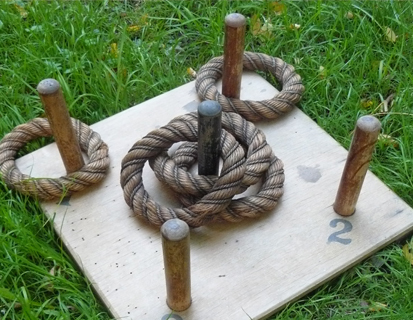 This is an original vintage wooden target board (plenty of ageing) with rope quoits. 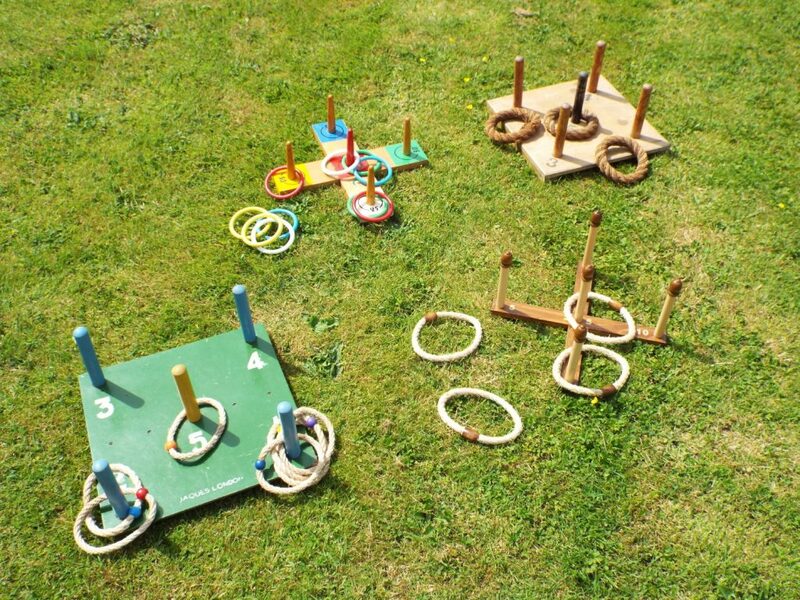 Other styles of Quoits are also available.